Doing missions outreach trips and projects is a big part of our calling. We’ve had the privilege to take our music ministry to 25 different countries around the world. We consider ourselves missionary-evangelists and like to use the term “musicianaries”. You can view our photo album to catch a glimpse of our most recent trip, follow our blog to catch real-time updates while we’re gone and read below for more information about our recent missions projects or endeavors. I WROTE THIS SONG TO HELP CONVEY THE PARALLEL BETWEEN THE NEED FOR CLEAN WATER AND THE NEED FOR LIVING WATER. I was inspired to write this because of our involvement with humanitarian and compassion ministry in East Africa, where we’ve witnessed the water crisis firsthand. 6000 people die everyday due to waterborne illnesses or no access to clean water, with a very high percentage of those people going into eternity without any knowledge of the Living Water. I served as a Church Relations Liaison with the humanitarian organization, World Serve International, for several years. They partner with churches, corporations and individual donors to facilitate humanitarian and compassion projects around globe to build a bridge for ministry. Having a tangible human need met opens the hearts of people (and whole communities) to receive ministry for their spiritual needs. This song parallels the great need for clean water with the need for the message of the Living Water and compels us to do something about this major crisis facing our world – to “Reach out with the love of Jesus to the world.” Go to: www.worldserveintl.org to learn more about World Serve. We took a team of 15 people to Heidelberg, Germany last Summer to share the gospel through music. Less than 1% of this city's population are followers of Jesus. We did some amazing outreach events with our music team, including a concert at their yearly "River Festival" with thousands of people in attendance and "flash mob" ministry on their public transit system. We handed out about 10,000 postcard invitations and gospel tracks throughout the week also did evening worship concerts every night. Our time in Heidelberg was strongly outreach and evangelist-oriented, but it also proved to be a very momentous time of unification and strategic ministry among the local evangelical churches and pastors in the city. The cooperation and Kingdom-mindedness we experienced as we worked together with multiple pastors and churches was so refreshing. We are raising funds for our next "Worship Encounter" missions endeavor and currently working out the logistics for the specific location for that trip. You can help send us and be a part of all God will accomplish through our efforts by engaging in both prayer and financial support as you feel led or burdened. For every $25 donated to our missions endeavors we will send you 1 of our CDs as a thank you ($50 donated = 2 CDs, etc.). Don't forget to sample the albums you would like to receive by viewing the music page. THANK YOU FOR HELPING US IMPACT THE WORLD WITH YOUR PRAYERS AND FINANCIAL SUPPORT!! In January, 2011 I was in Tanzania, E. Africa doing some worship ministry and climbing Mt. Kilimanjaro (the highest free-standing mountain in the world) with 40 other pastors & Christian businessmen. We tackled the highest peak in Africa to help conquer one of the greatest challenges – the lack of clean water. Over 1 billion people have no access to clean water, and 38,000 children die each week due to waterborne illnesses. Each pastor climbing Mt. Kilimanjaro raised the funds for a water well to be drilled in an African village, so the climb will result in 40 wells being drilled & over 100,000 people receiving clean water. In Oct., 2010 we did a 2-week missions trip to Greece, Austria and Switzerland . We had an awesome technical and music team with us for the first week in Greece, as we did a complete “Media Makeover” at International Christian Fellow in Athens. In addition to completely overhauling the church’s audio, video, lighting and decor, we had the opportunity to minister at the Teen Challenge Center in downtown Athens, doing outreach concerts and coffee house ministry and touching many desperate people with strong addictions. We then ministered through worship and the Word in the first service ICF held in their newly remodeled sanctuary. The people were ecstatic as they entered into a completely new environment. For the second week, Shannon and our 2 girls & I flew over to Central Europe, where we had the opportunity to share our worship and teaching ministry at a pastors’ retreat in Austria, and then in 2 Sunday services at a great church in Lugano, Switzerland. 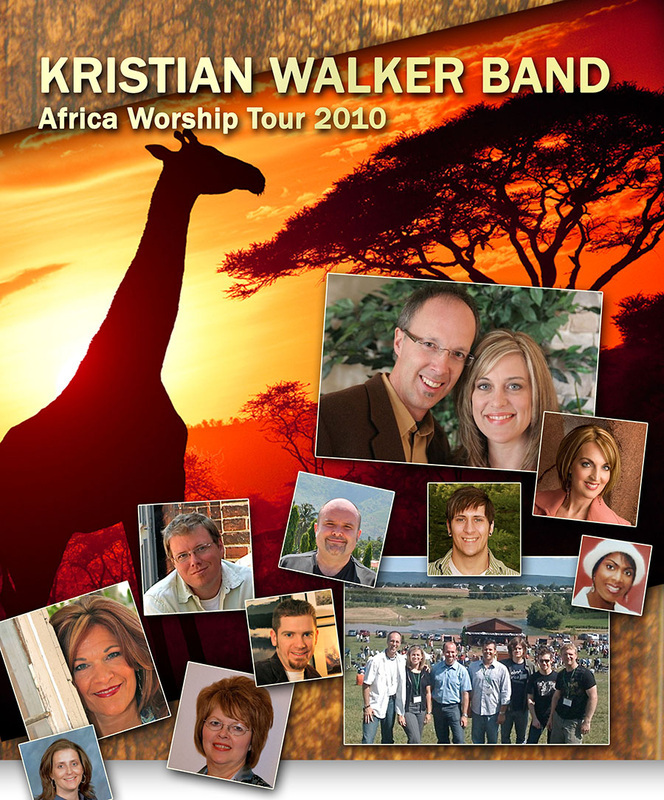 January 13-27 we took a worship ministry team to Malawi and Tanzania, E. Africa! We taught worship seminars, leading worship concerts & outreach events. We also partnered with an International Media Ministries radio launch team to install a television production studio in Malawi and start a new radio station in Tanzania.